New years resolutions. Goals. Affirmations. Call them what you will, it’s pretty hard at this time of year to avoid them. Whether you make them or eschew the whole idea, it’s fairly common following the holidays to want to eat a little healthier. After the excesses of the last few weeks, like it or not, most of us could stand to dial it back a bit on the fat/richness/carb factor in our meals. So if you are in the same place I am, craving citrus and trying to eat a bit lighter here’s the solution. 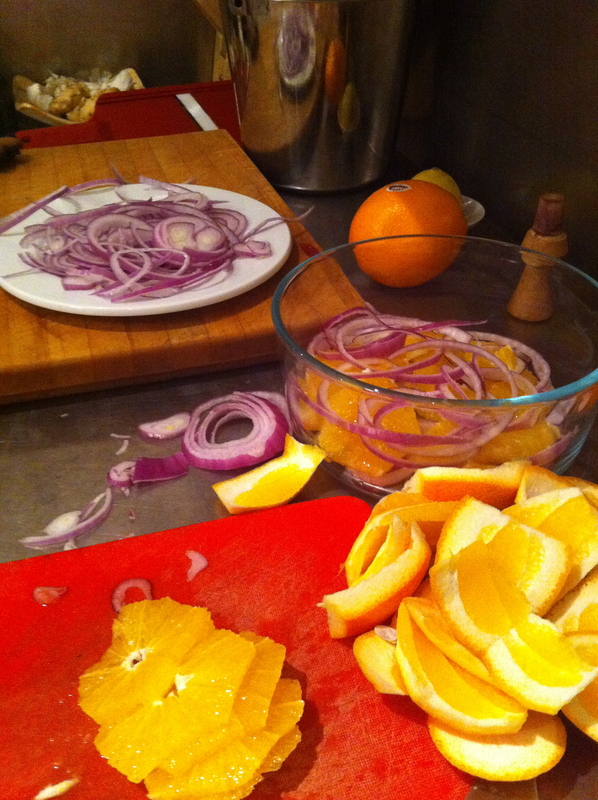 Orange and red onion salad. Traditionally served in my family with major holiday meals in recent years it has made the crossover to everyday. Simple and sunny. Just how I want this year to be. Or, in a pinch, any high quality pre-made organic italian style salad dressing. Slice orange peel and all of pith off of oranges. Thinly slice oranges into 1/4″ slices. Thinly slice red onion. Note, a mandolin works perfectly for this. Layer orange and onion in bowl. This salad is best made the day before to really let the flavours meld. Just give it a mix whenever you open the fridge. For extra crunch just before serving mix in some roasted pumpkin seeds. Here’s to a great new year of healthy and tasty eating. 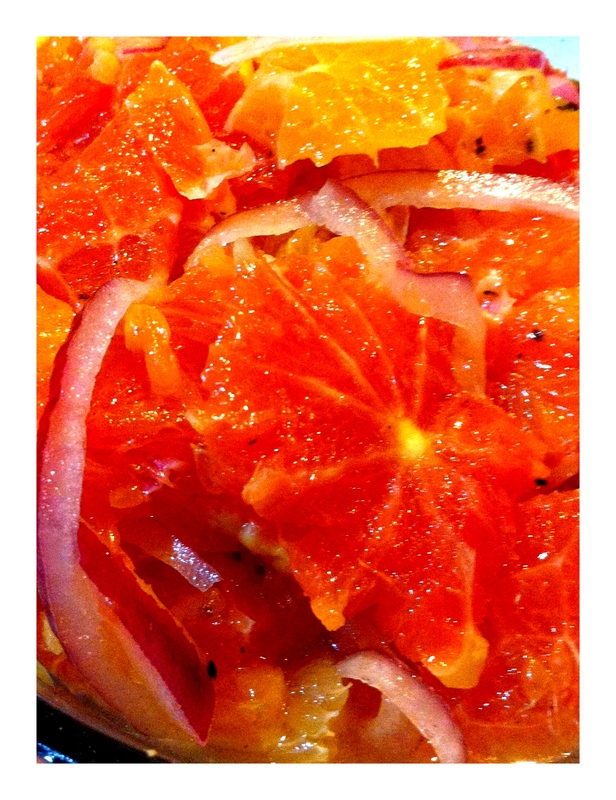 This entry was posted in Cooking, Food, Lunch, Recipe, Salad and tagged herbs, onion, oranges, pumpkin seeds, red onion, sea salt, vinegar by mostlynoodles. Bookmark the permalink. This looks amazing! I am going to make it for the weekend. As you know I am lemon crazed, and always looking at different ways to consume citrus. Thanks for sharing this.